"According to a recent survey, almost all Canadians are taking some action when it comes to the environment and are doing the little things in an effort to make a difference." Well, guess what. Brands are, too! Companies are realizing the importance of sustainability and the need for eco-friendly products. Rather, I feel there is a huge demand for these kinds of products because I, for one, don't want to leave behind a world of non-biodegradable garbage for my grandchildren to have to worry about. This is why I am excited to share with you some of the eco-friendly products that have recently caught my eye. 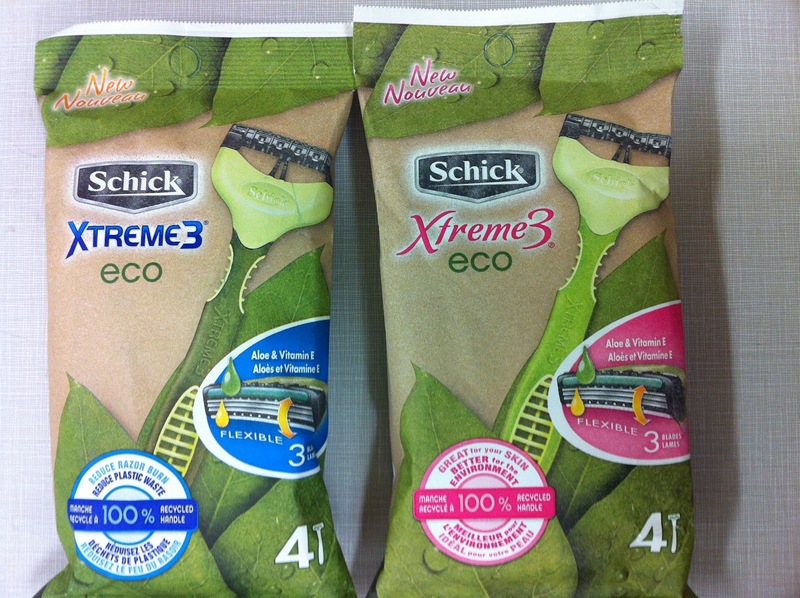 Take, for example, the Schick Xtreme3 Eco. It's the same Xtreme3 razor, only better for the environment. Actually, it is the first disposable razor designed for maximum sustainability. The handle is made of 100 percent recycled plastic and the packaging is 100 percent recycled paper. By using recycled plastic, 103,000 lbs of virgin material will be rescued from landfills and dumps in the first year of production. The Eco razor handle is made of retrieved items that have been recycled, such as coat hangers, buckets, and pails. I know coat hangers are problematic and cannot be recycled here in Toronto so it's great that there are companies willing to find ways to recycle them. And I'm not the only one excited about it. CBC's Steven and Chris are, too. I just noticed that they are celebrating the launch of Xtreme3 Eco by giving away a $4,000 travel voucher from Flight Centre courtesy of Schick. After having used them for a few weeks now, I know I'll end up buying them in the future. The razor is made of three flexible blades and provides a nice, close shave. While it has Aloe and Vitamin E, I still prefer the Schick Hydro Silk razor for those moments that call for extra pampering. I think I'll keep a Schick Xtreme3 Eco in my overnight for use while travelling. 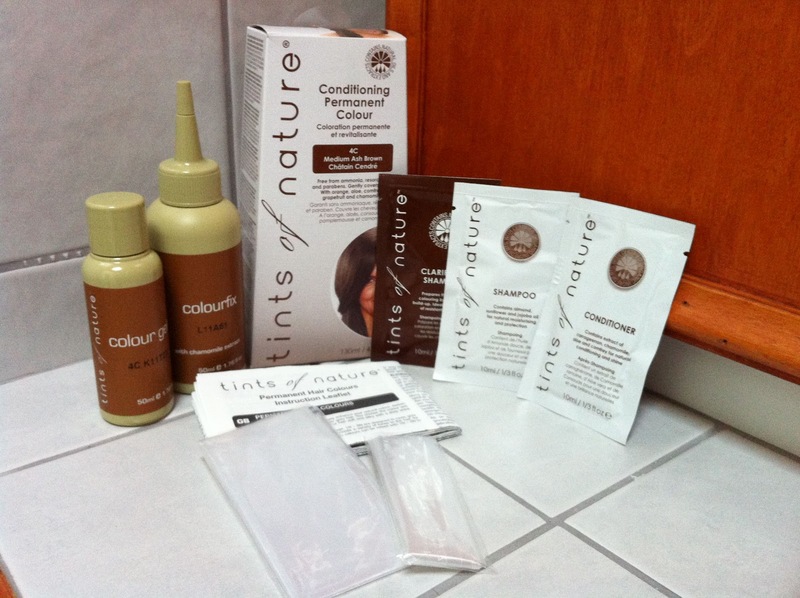 Ladies, once you have treated yourself to an eco-shave, why not freshen up your hair with Tints of Nature hair colour? It is made with certified organic ingredients and does not contain harsh ammonia or chemicals. It is also parabens-free and gentle on your hair. 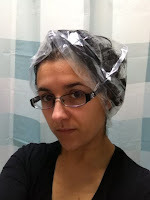 I had never dyed my own hair before so I was slightly apprehensive at first. I decided to try 4C Medium Ash Brown which was a shade or two lighter than my natural colour, I figured. I wasn't entirely sure. I followed the instructions and waited for the colour to set. You can tell from the picture I wasn't so sure about how it would turn out. 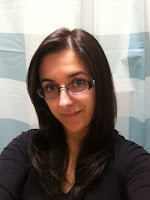 But after rinsing, conditioning and blow drying, I was very happy with the result. The tint was just the right shade and it covered up the few grey hairs that had been creeping up on me. My hair also felt extremely soft and had looked as though it had been reborn again. I was quite pleased. Then I went downstairs and saw the mountains of laundry that had mutated into a giant monster ready to pounce on me as soon as I stepped into the room. Ugh! And then I saw the new bottle of Seventh Generation laundry detergent with the Lorax on the label beckoning me to care for my laundry while also caring for the environment. 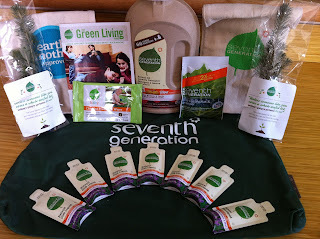 You see, Seventh Generation now uses cardboard bottles that are made from old cardboard boxes and newspapers with a thin inner plastic pouch that uses up to 70 percent less plastic than traditional plastic bottles. After attending the Toronto premiere of Dr. Seuss' The Lorax, I received a wonderful bag of eco-goodness which included said bottle, while my kids got to take home their own sapling to plant. One of my favourite products included in the samples is their natural dish liquid in lavender floral that not only smells divine but also gives you a great lather and makes washing dishes enjoyable pleasant. These are just a few of my favourites and I could go on. But since this is only the first installment, I'll save the rest for part 2!